Tess LLC is a Marine Electrical Sales and Service company, catering to all the electrical requirements of the Mega Yachting Industry and Land installations in the Tri-County Area (Broward Palm Beach and Miami Dade). We also provide our fleet of customers with worldwide service, as required. Tess specializes in all the electrical and automation needs for New Construction, Refits and Maintenance, working in accordance with all Major Classification Societies such as Lloyds, DNV, ABS, RINA , etc . Tess also adheres to all necessary Flag State Requirements, as required such as MCA, Cayman Islands, Marshall Islands, USCG, etc. Our highly Qualified Staff is able to handle all project requirements, from engineering, installations , Regulatory approval, and finally Commissioning and Training. We also have experienced staff to look after your Sales needs. Founded in 1984, Tess has continually built up an excellent reputation with our customers and we believe in providing excellent services, doing the job right the first time, and standing behind our work. We have fostered long lasting relationships around the world, based on professionalism, competency quality and trust. In keeping with our creed Tess is on call 24/7 to handle any of our present and future needs. 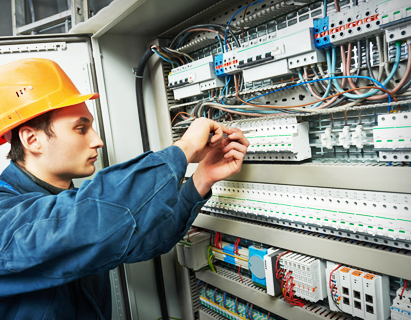 Tess provides an extensive range of marine electrical services covering all of your automation and electrical requirements.